Let us tell you. 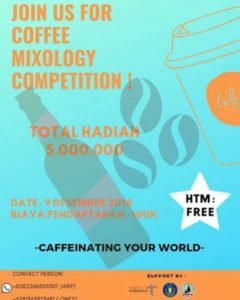 “Mixology Competition 2.0” 👏🏼👏🏼👏🏼👏🏼👏🏼👏🏼 this year to be held on December 9, 2018, we from Food and Beverage Management students will hold our annual event, “Mixology Competition 2.0 “with the theme” Coffee Mixology “. 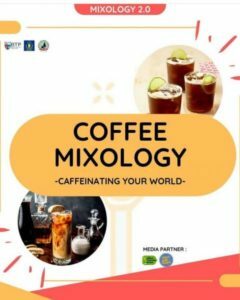 🍺🍺🍺🍺🍺🍺🍺🍺 .Where in this event we will challenge Bartenders – creative and innovative Bartenders from anywhere to develop a Classic Cocktail or Creativity Cocktail with base Coffee. The bartender who can pass through the qualifying rounds will be the champion in the Mixology Competition! And surely it has been declared to be an innovative and creative Bartender! Therefore, we invite friends – friends who want to show their creativity in innovating Cocktails. 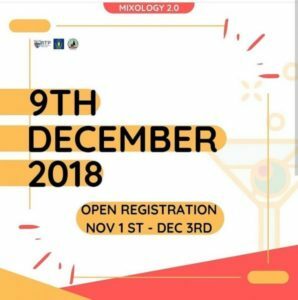 Let’s join our event! Friends – friends can contact the contact person below for more information! Have a good day!